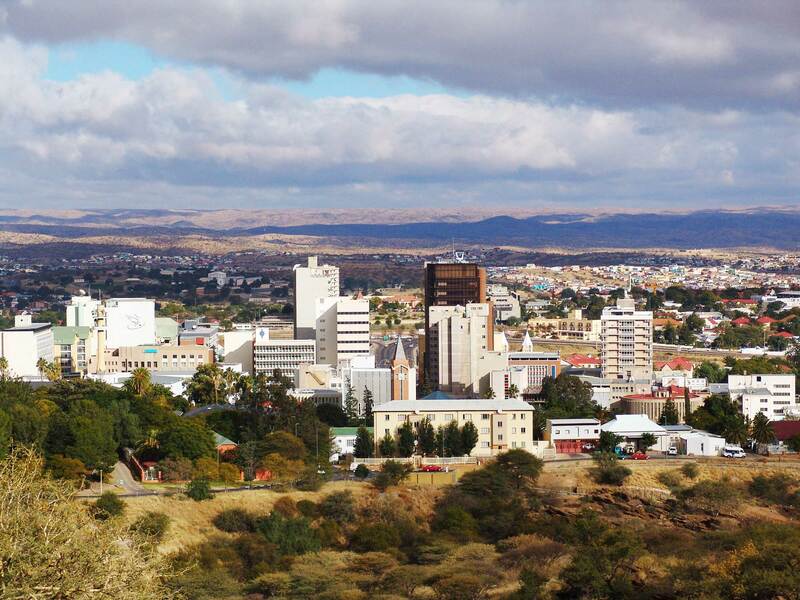 T he Windhoek, Surroundings and Central East Region is dominated by its capital, a small bustling city with an estimated population of 340 900 (based on the 2011 census). Windhoek lies in an airy basin in the central highlands, surrounded by the Auas Mountains in the south-east, the Eros Mountains in the north-east and the Khomas Hochland in the west. 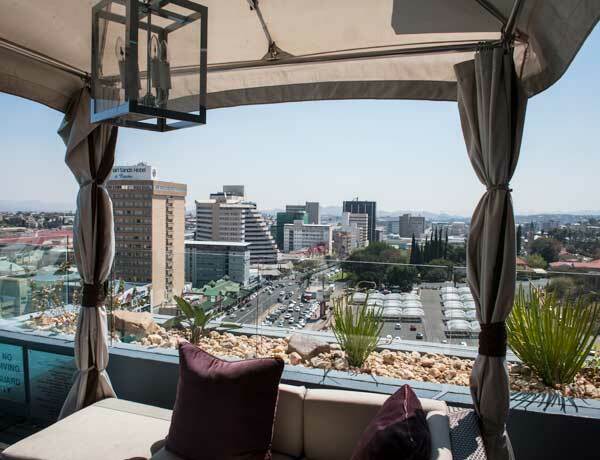 Windhoek is often described as a city with a ‘continental’ atmosphere. This can be ascribed to its architecture – historical buildings dating back to German colonial rule – as well as to its cuisine, culture, dress codes and educational institutions. At the same time Windhoek has the colour, sounds and tempo of a modern African city. Pavement displays of African drums and woodcarvings from the north contrast with elegant shops offering sophisticated Swakara garments and Namibian gemstones set in individually designed jewellery. While some shops display clothing, silver and glassware imported from Europe, others stock casual and colourful garments from West Africa. Because of the many hot springs in the area, Windhoek was initially known as Ai-gams (correctly spelt /Ai //Gams to indicate the click sound), a Nama word meaning ‘firewater’, ‘steam’ or ‘smoke’, and Otjomuise, a Herero word meaning the ‘place of steam’. The Nama captain, Jan Jonker Afrikaner, gave the town the name it carries today. In the early 1840s Afrikaner settled where the most powerful spring reached the surface. It is thought that in a moment of nostalgia he named the place after Winterhoek, the farm in the Cape where he was born. During the German colonial administration the town was called Windhuk, which was subsequently changed to Windhoek. Public transport in the city consists mainly of taxis, while a bus service transports passengers between Katutura and Khomasdal to Windhoek and its various suburbs. If you’re keen on walking and would like to orient yourself in the capital, a leisurely circular route starting and ending at the golden Independence Museum in Robert Mugabe avenue will give you a good idea of what the city has to offer, and will give you a glimpse of Namibia’s cultural diversity. The walk should take you between three to four hours to complete, but be advised to wear a comfortable pair of walking shoes and a hat, especially if it’s summer. Allow extra time for refreshments and pit stops en route. After a visit to Namibia’s new Independence Museum, dedicated to the Namibian liberation struggle, make a stopover at the neighbouring Alte Feste (old fort), built in the early 1890s to protect the new settlers in Windhoek and provide accommodation for members of the Schutztruppe. Inside the yard of the Alte Feste is the Reiter Denkmal, one of the most prominent landmarks in Windhoek and the best-known historical war memorial in Namibia. The Reiter Denkmal, officially inaugurated in Windhoek in 1912, is also known as the Equestrian Memorial. It commemorates the colonial war waged by the German Empire against the Herero and Nama people from 1903–1907 and acts as an ode to the soldiers who lost their lives in these wars. The Reiter Denkmal was always situated in front of the Alte Feste, but was moved in 2009, to make way for the Independence Museum. Opposite, in the historical Emma Hoogenhout building, are the administrative headquarters of the National Museum of Namibia. Further south along Robert Mugabe Avenue, on the right, is the Office of the Ombudsman, built in 1906 as a residence for senior government officials and converted into offices following independence. Take a sharp turn right into Sam Nujoma Avenue, and at the first traffic light, do a quick detour to the right into Rev. Michael Scott Street to look at the Supreme Court building, the only development after independence that reflects an African, albeit northern African, style of architecture. 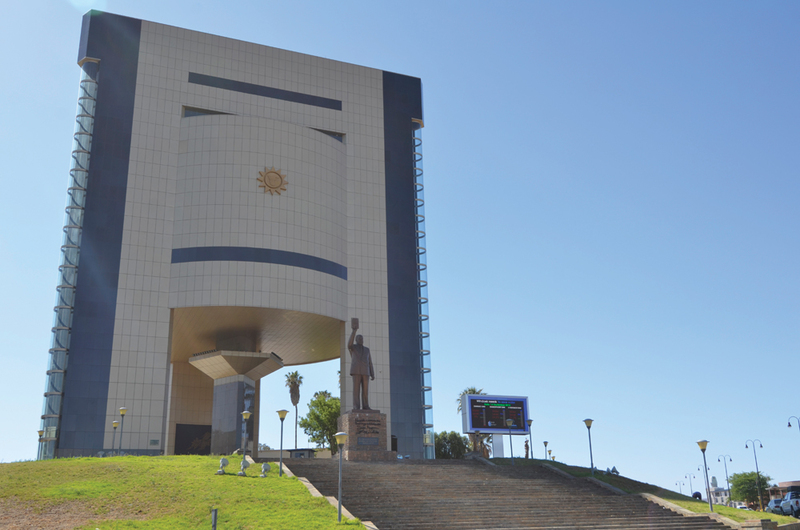 Having viewed this imposing building, head back to Sam Nujoma Avenue and proceed down to Independence Avenue. On your right you will be greeted by Namibia’s first five-star accommodation establishment, the Hilton Windhoek, which was opened in 2011. On your left in front of the Municipality Building is the statue of Curt von Francois, commander of a small force of Schutztruppe, who established the Alte Feste as his headquarters in Windhoek in 1889, and who is regarded by some historians as the city’s founder. Go one more block further down and turn left into Tal Street, where you will find the Namibia Craft Centre in the Old Breweries Building. The best example of handiwork by Namibia’s craftspeople can be viewed and purchased here, and the Craft Café offers delectable refreshments. 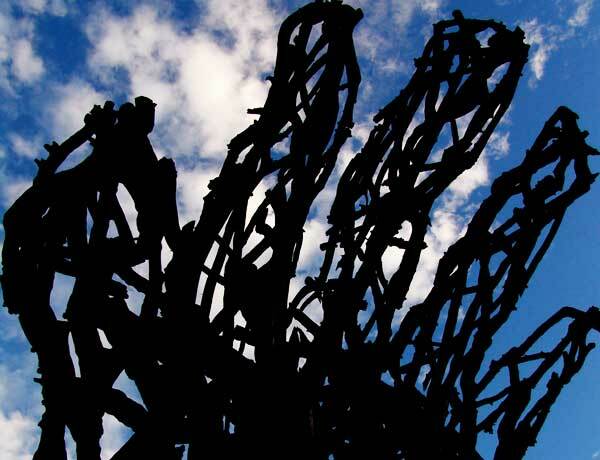 From here return to Independence Avenue and meander northwards until you reach the Gustav Voigts Centre. Built in the early seventies and conveniently central, the Gustav Voigts Centre offers a great deal more than convenience stores and banking facilities, such as outlets for hand-crafted jewellery, Swakara garments, camping and safari gear, curios and hand-made souvenirs, maps and books and other utility stores. The historical Wecke &Voigts store has recently been completely revamped. The centre is flanked by the newly revamped Carl List Mall, also a great place for shopping or a cup of tea. From the Gustav Voigts Centre, cross Independence Avenue at the first set of traffic lights, taking note of the crafts displayed on the corner, then cross Fidel Castro Street to Zoo Park. Here you will see a curious two-metre-high stone column sculpted by well-known Namibian artist, Dörte Berner. The monument marks the place where the remains of elephant bones were excavated in the fifties, now on display at the Geological Survey Museum near Eros Airport. Also in the park is the Witbooi Memorial, unveiled in 1897 to commemorate the lives of soldiers lost in battles fought between Schutztruppe and the legendary Nama chief, Hendrik Witbooi. When you reach the complex of concrete fountains, cross Independence Avenue for a short detour down Post Street Mall. Completed shortly after independence, the Mall has a large number of shops and boutiques and is a favoured venue for street vendors selling rural art, African-style clothing, curios and jewellery. 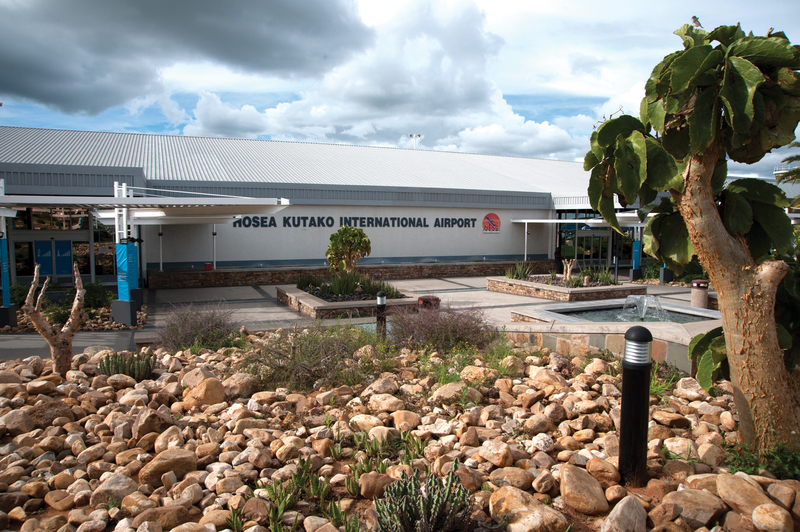 While the new structures blend with Windhoek’s historical German architecture, bright colours such as blue, pink, cerise and purple give them a modern and lively appearance. Town Square, an addition to the Mall, offers more dining and shopping opportunities. Developed around one of Windhoek’s oldest hotels and accessible from the Mall is the genial Kaiserkrone Shopping Centre with its palm trees, beer garden, restaurant with seating outside and variety of shops and stalls. Mounted on steel columns and adding special interest to the Mall is the Gibeon Meteorite Fountain, where 31 of the original 77 Gibeon meteorites are displayed. The Gibeon meteorite shower occurred in southern Namibia south-east of Gibeon, and is the largest known shower of its kind in the world. The explorer, Sir James Alexander, recorded the occurrence of the fragments in 1838. 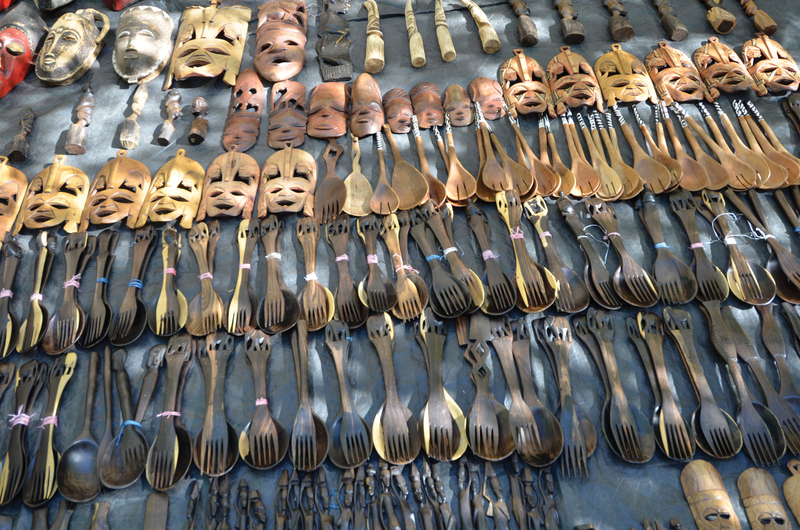 For many years local Namas hammered the pieces into implements. Return to Independence Avenue, cross to the Main Post Office, turn right into Daniel Munamava Street and then left into Lüderitz Street, proceeding down the hill until it runs into Independence Avenue again. On your right you will pass the Public Library (recently reopened after extensive renovations), then the Magistrate’s Court and, on the corner with John Meinert Street, the Old Supreme Court. The bronze kudu mounted on a high stone plinth on the corner to your left is a landmark often used by locals when giving directions. The sculpture, which was sponsored by Ernst Behnsen and is the work of Professor Fritz Behnsen of Munich, was unveiled in the early 1960s to commemorate a period when rinderpest struck Namibia’s kudu populations and nearly wiped them out. From here you turn right into Independence Avenue, cross at the traffic lights, and at the next set of lights, veer left into Bahnhof Street. If you’re thirsty at this juncture, the Protea Hotel Thüringer Hof is a good place to enjoy a quick thirst-quenching Windhoek Lager before proceeding westwards down Bahnhof Street. At the bottom of Bahnhof Street on the right is the historical Windhoek Railway Station, built in 1912/1913. In front of the building is the narrow-gauge locomotive, vintage 1900, which used to work the old line between Swakopmund and Windhoek, and on the first floor is the TransNamib Railway Museum, well worth a visit. Double back up Bahnhof Street, cross Independence Avenue and proceed eastwards until you reach Robert Mugabe Avenue, having taken note of the Turnhalle Building on the right-hand corner. The Turnhalle (Gymnasium) was where the Turnhalle Conference (Constitutional Conference of SWA/Namibia) had its first session in 1975. In 2003 the main section of this historical building was renovated to house the SADC Tribunal. On the opposite corner is the Franco-Namibian Cultural Centre (FNCC), one of the most important players in Namibia’s cultural scene. When you proceed southwards down Robert Mugabe to where it crosses John Meinert Street, you will find the National Art Gallery of Namibia, well worth a visit to see the Permanent Collection established and owned by the Arts Association Heritage Trust, which features historical and contemporary Namibian art. 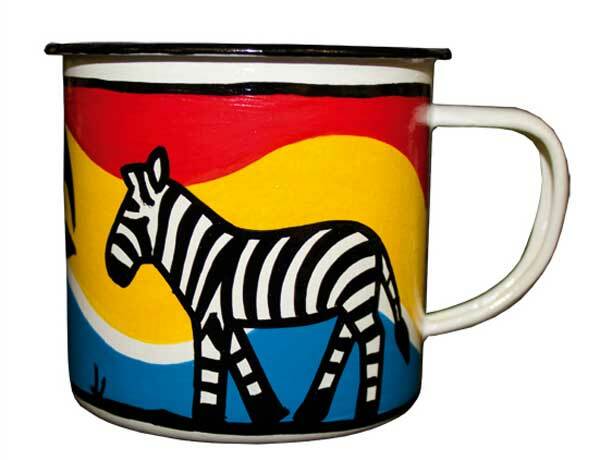 In the gallery shop are Namibian and other African crafts for sale, and at the back, the Sculpture Garden and Garlic & Flowers Restaurant, open for breakfast, lunch and dinner. Next door is the National Theatre of Namibia, and opposite the Namibia Scientific Society, where a wide selection of authoritative publications on the country published by the Society can be purchased. Further south along Robert Mugabe Avenue, on your right, you will find the Owela Museum. Owela is the name of a traditional African game played with pebbles, of which there is an example in front of the building. The museum houses cultural displays and dioramas. Next to it is the Public Library, which you passed on your way down Lüderitz Street. Up the hill on Robert Mugabe (on the right) is the former State House, a renovated version of the original house occupied by the former South West African administrators and now the official residence of Namibia’s prime minister. At the top is the Christuskirche or Evangelical Lutheran Church, one of the city’s most striking landmarks, built from local sandstone and completed in 1910. Its design was influenced by Romanesque, neo-Gothic and Art Nouveau styles, and its stained-glass windows were donated by Kaiser Wilhelm II. To the east of the church is the famous Tintenpalast, meaning Ink Palace. This is Namibia’s original Government Building, completed in 1914 in time for the first session of the Landesrat. Since then it has housed a series of successive administrations and governments. After independence it was renovated to accommodate the current Namibian Parliament. In front of the Tintenpalast is the Parliament Gardens, a great place for relaxing with a book under age-old trees. When you’re done in the garden, walk back to the Independence Museum from where you started. A different perspective of the city can be gained from a circular lookout point, locally known as Three Circles. It is accessed from Werth Crescent, leading off Sinclair Street. The facility provides splendid views across Windhoek to the south (the Tintenpalast and gardens) and to the north and west. The National Archives and the National Library of Namibia share a modern archival building with spacious reading rooms at 1 Eugene Marais Street, near the well-known Kenya House. Both institutions are open to the general public. The National Archives of Namibia hold the memory of the nation, with about 7 km of shelving filled with government records dating back to the beginning of German colonisation in 1884. Computerised registers make it easy to search for people, places and subjects. Apart from government records, a variety of private papers are preserved in the collection, some of them dating back to the pre-colonial times of the mid-19th century, as well as some 15 000 indexed photographs, 6 000 maps and plans and posters, and a film, video and oral history collection. Of particular interest are the correspondence books of the famous Namibian leader, Captain Hendrik Witbooi (1835–1905), a treasure whose international importance is recognised by an inscription on the Unesco Memory of the World register – one of very few African items on that list. The National Library of Namibia keeps the largest collection of Namibiana, that is publications from and about Namibia, in existence. This includes the very first travel report of Namibia by the Frenchman Le Vaillant, published in 1790; an almost complete collection of all Namibian newspapers since the first one appeared in 1896; and books on Namibia published in 50 languages and in 80 countries. Namibian-published and archival heritage is also preserved by two private scientific societies. The Namibia Scientific Society in Windhoek, which publishes a scholarly journal, maintains a reference library on Robert Mugabe Avenue opposite the National Theatre. The Society of Scientific Development in Swakopmund maintains not only the well-visited Swakopmund Museum, but also the Sam Cohen Library and Otavi Railway Station. Both libraries are open for research and include archival material, photographs and maps. The National Botanical Garden of Namibia (NBGN) in the heart of Windhoek is undoubtedly one of the capital’s gems. 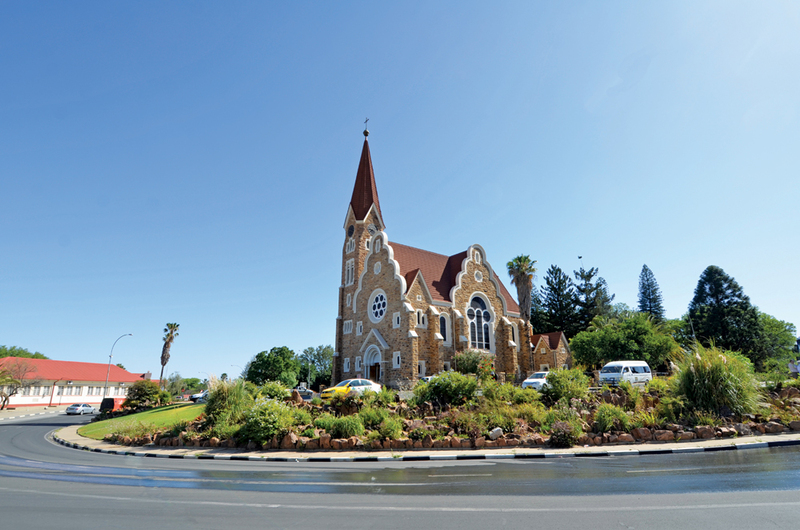 Situated on the slopes of a hill that forms a natural divide between the city centre and the suburb of Klein Windhoek, it was proclaimed a conservation area in 1969. In 1990 the National Botanical Research Institute (NBRI) moved to the site above the garden. Since then the Botanical Garden has become a versatile paradise of greenery and flowers, providing sanctuary to many small creatures and birds. Wandering along the paths you can learn about plants from Namibia’s other regions, identifying them by their nametags, and rest on a bench while enjoying the peace and watching visitors to the birdbaths. 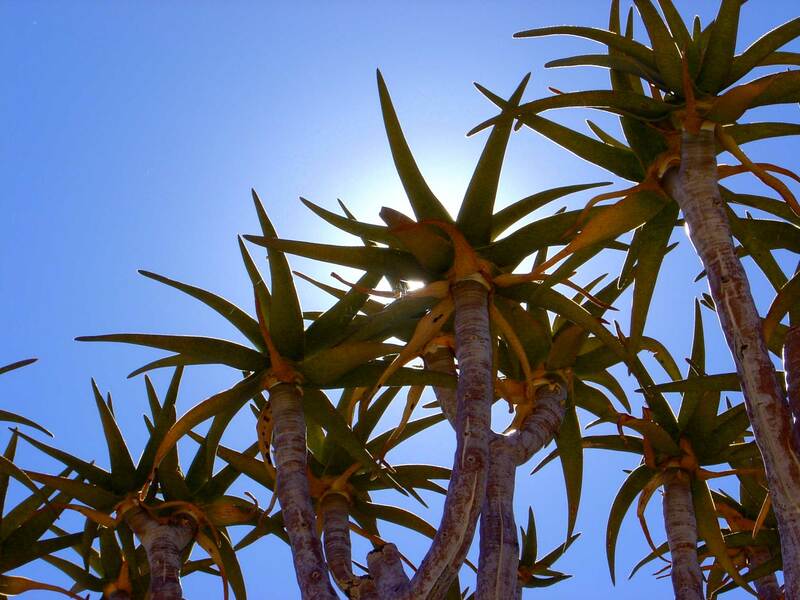 Especially conspicuous are the mountain aloe, Aloe littoralis, symbol of the City of Windhoek, which flowers in flaming orange-red in April and May; the distinctive quiver tree, Aloe dichotoma, symbol of the arid south; the bottle tree, Pachypodium lealii, with its large white, trumpet-shaped flowers; and the highly poisonous candelabra euphorbia, Euphorbia virosa, from the hilly north-western region. The Desert House displays 200 species of rare and protected species from the southern and central Namib Desert and the Sperrgebiet. The entrance to the grounds is at the NBRI, 8 Orban Street. The garden is open on weekdays during office hours (8:00 to 17:00). A tour is conducted on the first Saturday of each month by a member of the Botanical Society of Namibia, Tel (+264 61) 202 2014. The tour starts at 8:00. With over fifty types of sport being practised in Namibia, Windhoek has plenty to offer sports enthusiasts. Spectator sports are soccer, rugby, cricket and netball, while popular games are tennis, squash, bowls and golf. Mountain biking has become a sought-after sport, and triathlons, motocross, motorbike racing and athletics take place on a regular basis. For keeping fit, there are gymnasiums, aerobic classes and dance studios at various venues in the city, while the mountains surrounding Windhoek are excellent for hiking and mountain biking. Indoor recreation includes snooker and billiards. The Windhoek Country Club Resort on the outskirts of Windhoek has an outstanding golf course. There are several recreation resorts and guest farms close enough to Windhoek in the Central Region for day and weekend excursions. These include the Daan Viljoen Game Park, the Gross-Barmen Hot Springs Resort about 100 km north-west of the capital, the Von Bach Recreation Resort 65 km off the B1 to the north (a popular venue for aquatic sports and freshwater angling enthusiasts), and the Hardap Recreation Resort, 250 km south of Windhoek. Accessible from the B1 from Windhoek to the north, sign-posted about 3.5 km south of Okahandja, the Von Bach Dam and Game Park extends over an area of 43 km2. The facility, proclaimed in 1972, has become a popular venue for aquatic sports such as water-skiing, yachting, windsurfing and boating. The dam is popular among freshwater angling enthusiasts, as it has been stocked with large-mouth bass, blue kurper and small-mouth yellow-fish. Carp and barbel also occur here. Visitors can explore the surrounding nature reserve on foot. While game-viewing opportunities are limited, kudu, baboon, Hartmann’s mountain zebra, gemsbok and red hartebeest are seen here. Facilities at the dam, which are on a 50-year lease by Tungeni Investments and have recently been completely revamped, include 22 en-suite bungalows, 12 campsites, picnic sites for day visitors, and the Daw Restaurant that overlooks the dam. Activities include taking a ferry ride on the dam, cruising in a canoe, and fishing. Tours can be undertaken by prior arrangement to Meatco (cgarises@meatco.com.na) and Hartlief’s Continental Meat Products (Pty) Ltd (igeldenhuys@hartlief.com.na), where a fine selection of traditional smoked meat, German sausages and polonies are made, and to Nakara (nakara.michael@mweb.com.na), where high-fashion Swakara garments are produced for export, game skins are prepared and leather products are manufactured. Many delegates to conferences in Windhoek come to Namibia for the first time. They often go on pre- or post-conferencing tours to destinations in the immediate surroundings of the capital or further afield. Packages are usually put together by the conference organisers and included in the information packs given to delegates prior to their arrival. Team-building activities, city tours and half-day trips normally form part of the conference package, but once delegates arrive, they plan extended trips, mostly to the popular tourist attractions. Conferences can be arranged to suit small and large groups in many parts of the country, sometimes employing very creative techniques, whether in the desert in mobile settings, on a game lodge, or in Windhoek itself. Major towns have multiple venues offering in-house services, ranging from catering and logistics, to planning and equipment. See the Namibia Tourism Board’s brochure, Namibia – conferencing and meeting in the wilderness, for more in-depth information. The Namibia Craft Centre in Tal Street Windhoek is an excellent showcase for local crafts and fashion, and contemporary and exclusive jewellery ranges, such as Pearls of the Kalahari, Ekipa Gold and Tameka; San artwork such as linoprints, wood sculptures, textiles, jewellery and beaded artwork; unique photography from Foto Namibia; and Pambili Young Designers, a collective of young designers whose fashion and fashion accessories have been showcased all over Africa and Europe. The Craft Centre creates opportunities for artists, low-income craftsmen and communities to build profitable businesses, by offering market linkages to local and new markets. Approximately 3500 people benefit directly and indirectly from the Craft Centre. Like most semi-nomadic people around the world, the San of Namibia have an innate love of adornment. The women have been fashioning necklaces, anklets and bracelets for centuries, first from ostrich eggshells and later from glass beads, which are often exchanged as gifts. Archaeological evidence suggests that the techniques used centuries ago are similar to those used today. Each ostrich eggshell piece is broken into smaller pieces. Then the edges are chipped, shaping the shell into a round bead. A hand bow is used to drill the central hole, and finally the piece is assembled, traditionally with rolled sinew, but more recently with commercial thread. With the introduction of commercial ostrich farming, ostrich eggshells became abundant and a small home industry- of creativity in rural areas around Namibia took off. The Ju’hoansi of the Nyae Nyae Conservancy explore their creativity with the assistance of local designers and NGOs. A contemporary craft for the Himba is bracelets and other body adornments fashioned from PVA plastic pipes. Belts made from leather embellished with colourful PVA strips are worn by men, while bracelets and belts (epateka) are particularly popular with women and children. Designs are etched into the plastic, and then rubbed with ochre. White ivory bracelets with ochre inlay, which are especially sought after by tourists, are sold at Mud Hut Trading at the Craft Centre. 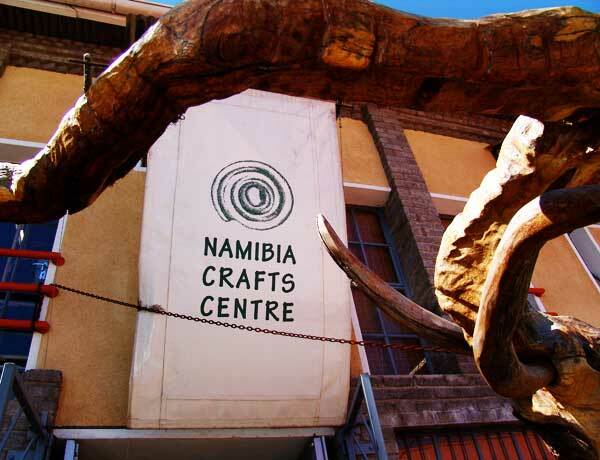 The Namibia Craft Centre also offers one of the most sought-after venues for exhibitions. The Omba Gallery features new exhibitions virtually every month, which ranges from visual artworks in different media, photography, jewellery, gifts, fabrics and even books. Karas Huisen Craft, based in Keetmanshoop, supports over 40 women and their families. It is aimed at reducing the social and economic impact of HIV/Aids by developing and marketing a range of craft products including beautifully beaded bags, place mats, toys and accessories. These are all available for sale at the Karas Huisen outlet in the Namibia Craft Centre. Work of Our Hands supports a group of women from the Vyfrandkamp informal settlement just south of Okahandja. The women make charming crocheted wire and beaded jewellery. Their products can be purchased at their outlet in the Namibia Craft Centre or from their stall at the craft market on the southern edge of town. The Ekoka Art Group community of approximately 280 San families lives in the remote north-central Owambo region of Onhangwena. Art workshops in a local classroom and in Etosha have resulted in an outpouring of indigenous creativity. Abstract renderings and jewel-like canvases of local flora and fauna emerged, and today linocuts of birds, insects and daily activities, professionally printed on hand-made paper, are sold through Mud Hut Trading in the Craft Centre. 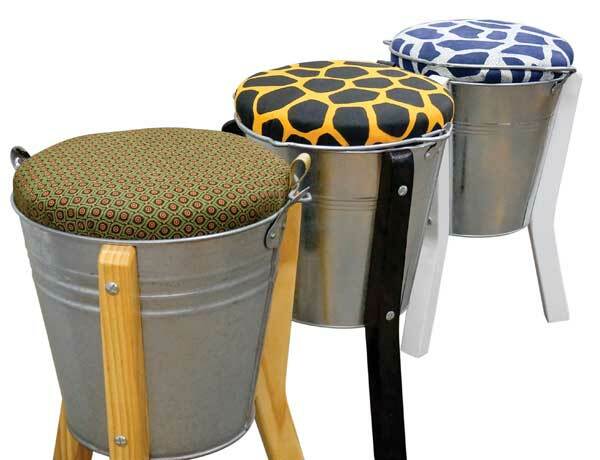 To continue generating income for the artists and the community, a textile range branded as Ekoka was developed in conjunction with a textile designer from South Africa. Printed on cotton and linen, the Ekoka Textile range is now sold off the roll, but also as beautiful, practical shopping bags. Also in the north, is the Onankali Omahangu Paper Project, a community-based enterprise that produces a wide range of handmade paper products, using linoprints made by the San in Ekoka and printed on paper. The paper is made from the stalks and leaves of mahangu, a type of pearl millet that is grown throughout north-central Namibia. The finely crafted paper products include book covers, writing pads and notebooks. Dâureb Crafts is known for its papier-mâché mobiles, mirrors, frames and sand-decorated ostrich eggs. These products can be bought from the Uis Information Centre and at the Namibia Craft Centre in Windhoek. sourcing the best materials for these Nama Damara ragdolls, to ensure utmost care and child safety. Country­wide, the Gondwana Collection, Wolwedans and Mushara lodges as well as the Kubatsirana Selfhelp Shop in Swakopmund sell the dolls. 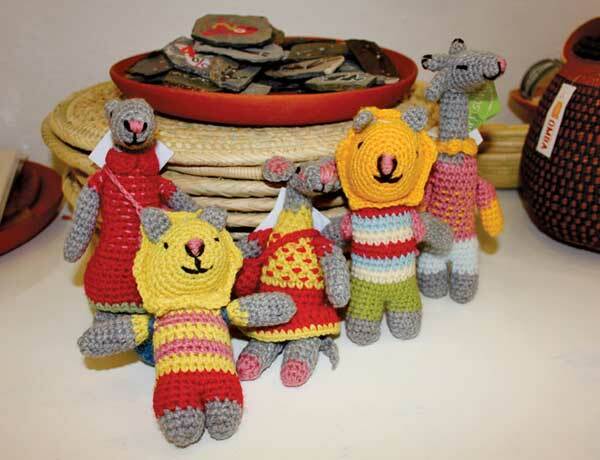 In Windhoek, Matukondjo Dolls are found in the Namibia Craft Centre and at the Penduka Project in Goreangab. Members of the Leonardville community, Kalahari Wild Silk Manufacturers, produce a range of naturally woven silk scarves, neck ties, shawls, bed covers and cushion covers from the cocoon of the wild moth, Gonometa postiga. Animals feeding on the dry cocoons, which are indigestible, sometimes die as a result. Community members collect these cocoons, boil them and produce the uniquely woven silk products. The Namibia Craft Centre is the main business outlet for these outlets. Maid in Africa – an organisation that produces and sells postcards, hand-painted pillow cases, clothes, bags and linen, amongst others – also supports the Born in Etosha project, to support the Hai//om Bushmen, the original inhabitants of the Etosha environs. Hasegurure Wire & Beads sells handmade beaded and aluminium jewellery, leather belts and shoes, Tsurib decorations, rustic mobiles and lamp covers made from papier-mâché, wire and beads. The Peace Jewellery Collection consists of handmade jewellery including necklaces, bracelets and rings featuring semi-precious Namibian stones, and hand-engraved leather products. After you’ve perused the vast treasures displayed the Craft Centre, sit back and enjoy the warm hospitality and fresh cuisine of the Craft Café! 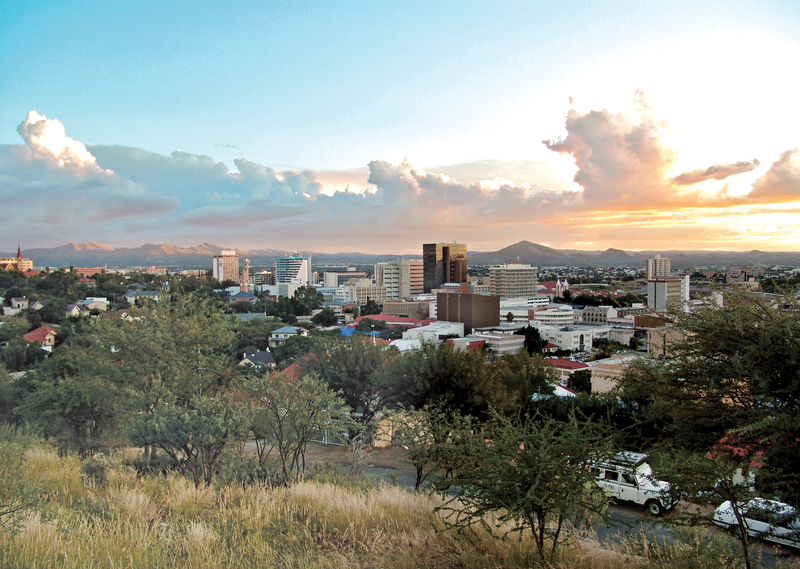 Windhoek has an active and lively community of art and craftspeople. For performing art enthusiasts, a welcome addition to the arts and entertainment scene is Backstage, an intimate lounge theatre in Andimba Toiva-ya-Toiva Street in the Southern Industrial Area. Here entertainment ranges from solo and ensemble performances of jazz, folk, bluegrass and classical music, to intimate dramas and belly dancing. 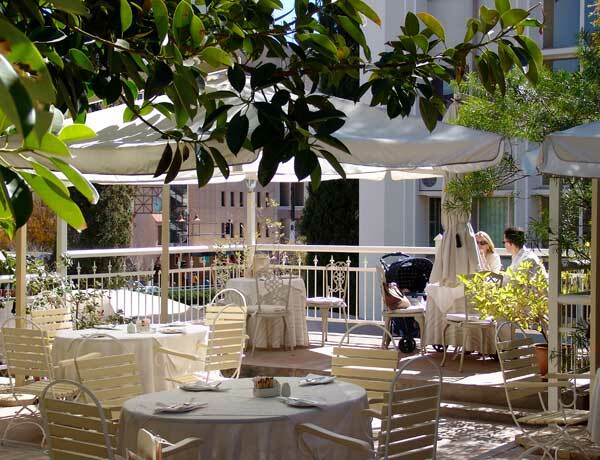 It is also a popular venue for sundowners, light meals and pizzas. Galleries where exhibitions are held regularly and art can be viewed and purchased are the National Art Gallery of Namibia (NAGN) on the corner of John Meinert Street and Robert Mugabe Avenue, and the Katutura Community Art Centre (KCAC), which houses the John Muafangejo Art Centre (JMAC) and Gallery. KCAC offers courses in basic and advanced printmaking, basic and live drawing and ceramics. The Permanent Collection at the National Art Gallery of Namibia is well worth viewing, as it contains a wide spectrum of historical and contemporary Namibian art and crafts. The Bank Windhoek Triennale, the major art event in Namibia, and the biggest art competition for local artists, takes place in September of every third year. Commercial galleries that display and sell local art and crafts are House of Art in the Maerua Mall shopping complex and the Bank Windhoek Omba Gallery in the Namibia Craft Centre in the Old Breweries Building in Tal Street, where a large number of curio stalls stock local crafts. The National Library of Namibia has a substantial selection of reference books on the history and other aspects of the country. The Namibia Scientific Society also has a well-stocked library for specialised reading, as well as the full range of its own publications, which can be purchased at a modest price. A special service performed by the National Archives of Namibia is the compilation of source publications on various aspects of the country. These can also be purchased. The Windhoek Public Library offers special lending facilities for visitors. The 99fm Playhouse Theatre (the former Warehouse) in the historical Old Breweries Building presents plays and live music, including jazz, blues and cabaret. In 2010 it was purchased by Democratic Media Holdings. Performances by the Windhoek Symphony Orchestra, as well as ballet, opera and theatre, also from South Africa and further abroad, are staged by the National Theatre of Namibia at the NTN theatre in Robert Mugabe Avenue. The NTN collaborates closely with the Franco-Namibian Cultural Centre (FNCC), which imports internationally acclaimed theatrical productions from other African countries, Europe and the island of Reunion. The College of the Arts and the Performing Arts Department of the University of Namibia (UNAM) present programmes ranging from music recitals to art, drama, ballet and experimental theatre. The annual Bank Windhoek Arts Festival promotes hundreds of Namibian amateur and professional productions and art exhibitions. The BWAF also supports a number of galleries in Windhoek where exhibitions of contemporary art and design are regularly held. A creative treat for locals and visitors – the best of local arts and culture – is the annual four-day /Ae//Gams Arts and Cultural Festival presented by the City of Windhoek at the beginning of September. The festival showcases Namibia’s artistic diversity through music, cuisine, traditional dances, crafts, paintings and poetry at various venues throughout the city. The main objective of the festival is to make the City of Windhoek a vibrant cultural and tourist destination in Africa. Windhoek has numerous bars and nightspots where music is played until all hours of the morning. The Ster Kinekor complex at Maerua Mall has five small auditoriums, which screen primarily mainstream and children’s films. In Sam Nujoma Drive in Klein Windhoek a stylish shopping complex, Bougain Villas, consists of leisure and boutique shops, the largest being the Jenny’s Place Art & Crafts emporium with its wide array of merchandise, from beads and buttons to a substantial selection of basic art supplies, wrapping paper, haberdashery, candles, greeting cards, stationery and a surprisingly imaginative range of party gear. The Penduka Centre in Katutura on the outskirts of Windhoek includes a production unit, an art and crafts shop, a tearoom and restaurant, conference facilities, accommodation (a campsite, backpacker huts and bungalows) and tours to Katutura. The project provides women in the rural areas with an opportunity to improve their lives through self-development. Windhoek offers an eclectic variety of restaurants catering for most tastes, including those of adventurous gourmets interested in savouring local specialities, light eaters looking for a simple lunch or quick snack, and vegetarians.